Similar to maintaining a healthy body weight, maintaining healthy skin works best with a holistic mind frame. Your skin care products don’t guarantee great skin so you must also take these factors into consideration. Aging is one of two factors that affect skin in which we cannot control. Skin’s strength, health, and youthful appearance depend on hormones. Hormones are messengers that tell the body what to do in order to maintain balance. For example, estrogen alone is linked to bodily coordination, vision, skeletal health, nerves, and the skin’s moisture. As men and women approach their forties, estrogen levels begin to decrease. This causes a dramatic change in the way skin functions. Glands begin to perform slower, meaning less production of oil. Lack of oil can create skin that is more caustic which makes skin more sensitive. The amount of collagen and elastin that appeared in skin will also decrease. Collagen is a protein found in the deeper layers of the skin. This tissue is what makes skin firm and without it skin starts to lose its tone. Elastin is a protein also found in the deeper layers. It helps provide the skin with elasticity or “snap back”. When pulled, healthy skin snaps back in to place as it is released, whereas skin that lacks elasticity remains at a peak. Cell turnover, another luxury of youthful skin begins to slow as it becomes more mature. Desquamation, or shedding of the skin is directly related to a person’s cell turnover rate. 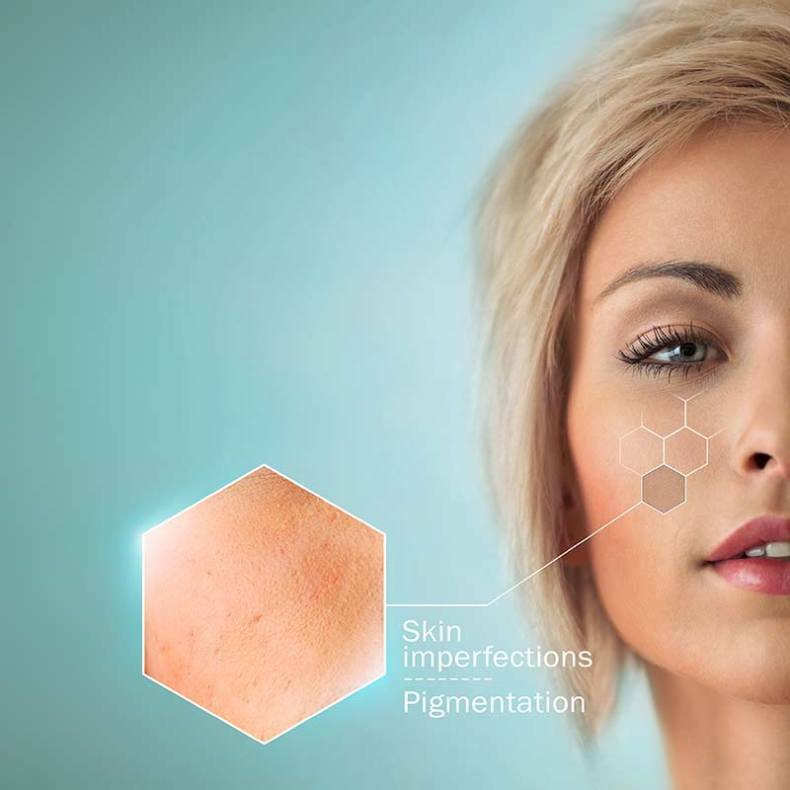 When the skin dies it starts to shed to make room for new skin cells, therefore diminishing skin issues such as fine line, wrinkles, and hyper pigmentation. When new cells aren’t being produced rapidly enough, those issues can become more prominent and skin will become thinner. Loss of hormones can also effect circulation. Mature skin becomes more prone to redness (also called couperose skin) caused by broken capillaries. This normally occurs on the cheeks but can also appear on the body in the form of a spider vein. Along with age, race is another factor we have no control over. Each ethnicity is unique when it comes to skin and this should be taken into consideration when it comes to skin type. Fair skin does not contain as much melanin as other races which is why it doesn’t have much color. Although tanning may seem like a great idea to obtain a deeper skin tone, Caucasian skin tends to be thinner and can burn more easily. This puts Caucasians at a greater risk for skin cancer but every race is susceptible. Since this ethnicity has lighter skin, reactions may be more visible but this does not mean they are more severe than those of another race. Deeper skin gets color from its high melanin content. Although melanin gives more sun protection usage of sunscreen is still advised. Deep skin types also tend to have skin that is thicker and contains more oil, which is related to its ability to gracefully age. Thick skin may appear to be a great thing but when cells are being made at such a rapid rate it can cause a buildup of dead skin which can lead to skin disorders. Despite its thickness, deep skin can be very fragile since it is more prone to hyper pigmentation and scaring. Asian skin tends to have a thinner top layer. A thinner top layer indicates this skin type is more sensitive so proceed with caution when performing treatments because scaring may occur. Asian skin is known to have the highest water content due to its ability to retain water. When you consume a meal, the digestive system separates food into nutrients the body can use. After food is digested it is released to the Circulatory System. The Circulatory System is how blood gets distributed to the body. The type of food you consume is directly related to how your body functions since its ingredients are issued to the blood. This proves the saying “You are what you eat” one hundred percent true. The nutritional needs to maintain healthy skin varies from person to person. Factors such as weight, age, and gender can reveal what a person should consume to improve the current condition of their skin. The choices you make in everyday life can have an effect on the skin’s health. When deciding to indulge in the fast life, your skin will pay a hefty price. As if the risk of cancer isn’t enough, use of tobacco can also put your skin’s health in danger. The nicotine in tobacco alone weakens the body’s blood vessels and capillaries. Blood vessels serve a huge purpose when it comes to how the body functions. They help move blood to and from the heart and tissues. Blood is very beneficial. It helps feed cells, regulate body temperature, and protect against infection. Capillaries distribute nutrients to the body and eliminate waste. Blood vessels and capillaries are part of the Circulatory System, which is responsible for blood flow. Smokers are prone to yellowing of the skin since nicotine slows the supply of oxygen to the blood. Yellowing doesn’t only appear on the face, it can appear over the entire body, including the fingertips. All prescription drugs have side effects including those involving skin. For example, those who take aspirin daily to prevent pain, or heart attack may be putting themselves at risk for bruising. Drugs like Ibuprofen and Aleve are blood thinners so bruising is bound to occur, even at the smallest impact. One of the instant effects alcohol has on skin is the ability to cause a flushed appearance. After a few drinks blood vessels and capillaries begin to dilate causing redness. Over time excessive alcohol intake can cause vessels and capillaries to burst and redness becomes permanent. Alcohol is also known to be very drying and can cause the skin to become dehydrated. As mentioned earlier, dehydrated skin appears dull, dry, and can become over compensated with oil. How active a person is throughout their lifetime has direct correlation to their skin’s appearance. Staying active sends a major boost to the Circulatory system. This helps the blood flow faster, delivering more nutrients to the body’s cells and tissues. Increased blood flow can also help eliminate toxins, including free radicals obtained from the environment. Exercise is also proven to reduce stress. Stress, a known factor that effects skin, can make conditions such as acne and psoriasis worsen. Relieving stress through daily activity may help prevent these issues. Sure you spend $200 per month on products and keep up with month facials but those are just two things that effect skin. In order to ensure your skin is healthy both inside and out you must change some of your life long habits!